Physical characteristics: Amazonian umbrellabirds are black birds with a whitish eye and strong black claws. They are about the size of a crow, 18 inches (46 centimeters) in length. Their most impressive physical feature is the tall crest of hair-like feathers with white shafts that stands up over its head like an umbrella. 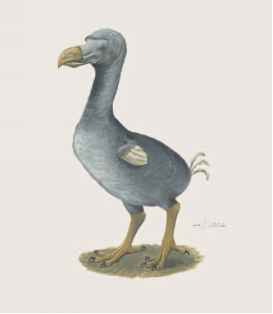 In fact, the bird's Latin scientific name roughly means "fancy head." This bird also has a long wattle of feathers that hangs down from its throat to its belly. Amazonian umbrellabirds are known for their loud, carrying voice. 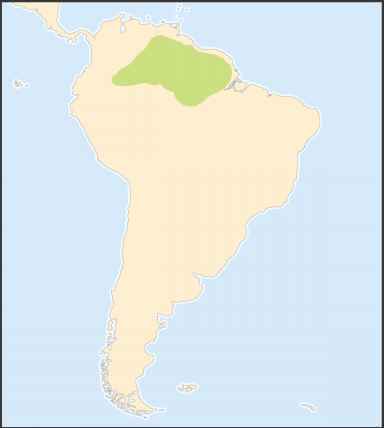 Geographic range: Amazonian umbrellabirds are found in the Amazon river basin of Brazil and Venezuela, northwest Bolivia, and eastern Colombia. Habitat: This species prefers to live along rivers. However, near the edge of the Andes mountains, it lives in the forest at elevations up to 4,300 feet (1,300 meters). 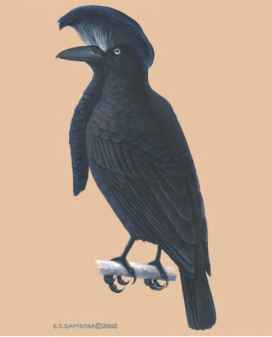 Diet: Umbrellabirds primarily eat fruit and berries, but will eat insects, spiders, and insect larvae when fruit is not available. Behavior and reproduction: Amazonian um-brellabirds are slow-flying birds that spend a lot of time sitting still on branches. During mating season, males form leks spread far apart. The female builds a loose nest of twigs high in a tree and raises a single chick. Amazonian umbrellabirds and people: These birds are heard more often than they are seen. They are mainly of interest to birdwatchers.